The swimming year ended on a high note for Castlebar's Sinead Mylett, who put in some quality performances in Germany and England, creating a new Connacht record in the process, and further marking her as a swimmer well worth watching out for over the coming years. Representing Ireland alongside eight other young swimmers at the International Youth Competition in Berlin, the 14-year-old finished in second place in the 100m freestyle (with a time of 1:00.85) and in the 50m freestyle (27.84). She also helped the Irish team secure a third place finish in the 4x200m mixed freestyle relay. Barely a week after her return from Germany, she was one of 21 athletes from all over Ireland who competed at the British Age Group Championships in Sheffield. Swim Ireland described the event as "the most successful British Age Group Championships that Ireland have had in memory" and congratulated the young swimmers and their coaches on their "professionalism and enthusiasm." It was certainly a successful meet for Sinead, who qualified for two semi-finals and a final, and - swimming on her 14th birthday - set a new Connacht long-course record for the 100m freestyle. The four-day meet started strongly for Sinead, who swam the 100m free in 1:00.74, thus qualifying for the semi-final, where she recorded a new personal best - and Connacht record - of 59.30. In the second day of heats, she gained another PB in the 100m breaststroke, with a time of 1:07.56. That evening's freestyle finals saw her coming in seventh place with a time of 59.77. On her final day of competition, she swam yet another PB of 2:11.92 in the 200m freestyle, and again qualified for the semi-finals, during which she managed to take another second off for a final time of 2:10.72. Those who found it hard to tear themselves away from last week's captivating coverage of the Olympic swimming events - made all the more riveting by the incredible close-up camera work and underwater angles - will now have some appreciation for how hard these swimmers work and for the incredible difference a split second can make in the pool. In other swimming news, the club had some strong performances at the Irish Open Youth and Senior Championships at the National Aquatic Centre in Dublin. Nicholas Quinn took over two-and-a-half seconds off his previous personal best (PB) in the 200m butterfly, coming first in the preliminary heats and second in the final with a time of 2:07.10. He secured bronze in the 100m breaststroke with a time of 1:05.75, and gold in the 400m IM, with a PB of 3.35 and a final time of 4:33.13. A second gold followed for his 2.52-second PB in the 200m IM, which he swam in 2:10.74. He missed out on a podium finish in the 50m breaststroke, but finished in a respectable 30.27. There were fine performances also from Killian Dervan, who secured PBs in the 100m freestyle (1:00.24), the 100m breaststroke (1:14.02), the 400m freestyle (4:35.50) and the 200m IM (2:22.16). There was a PB also for Louise Dervan in the 200m breaststroke (3:00.65) and for Sara English in the 800m freestyle (10:05.55). Also swimming well for Castlebar were Eoghan Grady and Con Doherty. Nicholas Quinn followed his excellent performance at the Irish Open Youth and Senior Championships with two swims at the British Youth Championships. 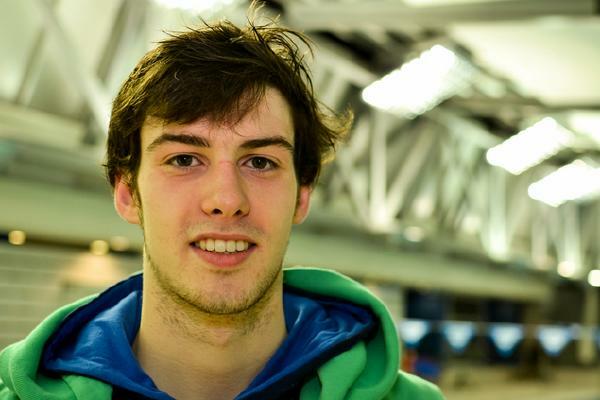 He swam the 200m breaststroke in 2:19.87 and the 100m breaststroke in 1:05.50. And so ends another strong season for Castlebar Swimming Club. There were many highlights this year - but what continues to impress most of all is the hard work and perseverance of these young swimmers and the unwavering dedication of their committed coaches - particularly Joe Moran and Marian English. Even their well-earned summer break has featured the occasional training session, not to mention many hours of keen Olympics observation!